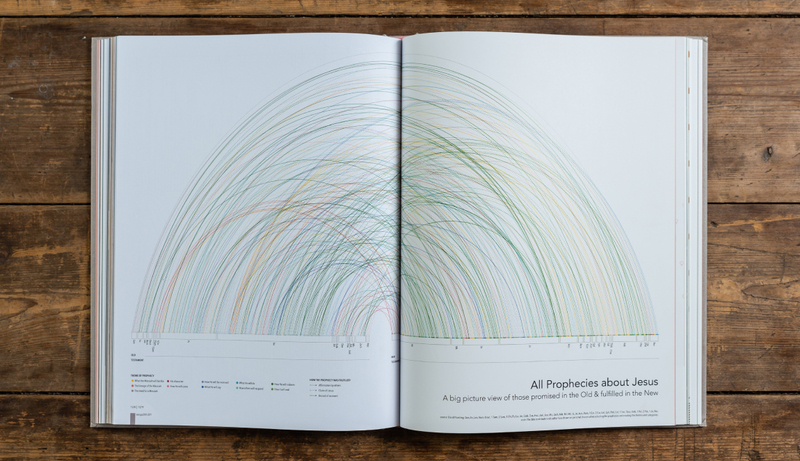 This November a new visual Bible hits the shops – The Infographic Bible. 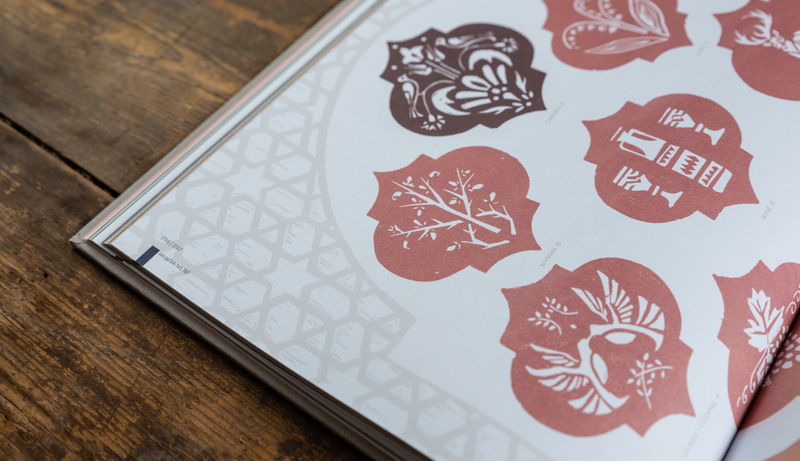 This book is designed by Karen Sawrey from Carlisle Vineyard. We caught up with her to find out all about her new book. Hi Karen, tell us a bit about yourself. Well… having worked in central London I am now based in the northern hills of Cumbria which is where I grew up. I am passionate about creativity and engaging a visual generation with creative ways to see and digest information. Love Jesus, love people, love life! I basically love all things paper and ink, working as an illustrator and conceptual designer for print for 24 years and in publishing for 17 of those. 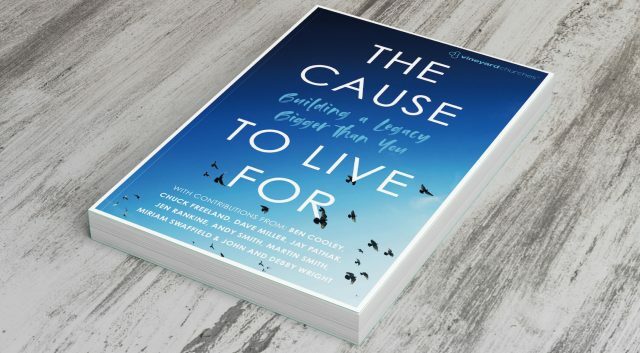 That experience stretched across different media including: top magazines; Alpha and HTB; global charities like World Vision and Zacharias Trust and publishers including HarperCollins, Hodder & Stoughton and Penguin Random House. I had been designing & illustrating for HarperCollins for 9 years when they invited me to pitch for this project in 2013. 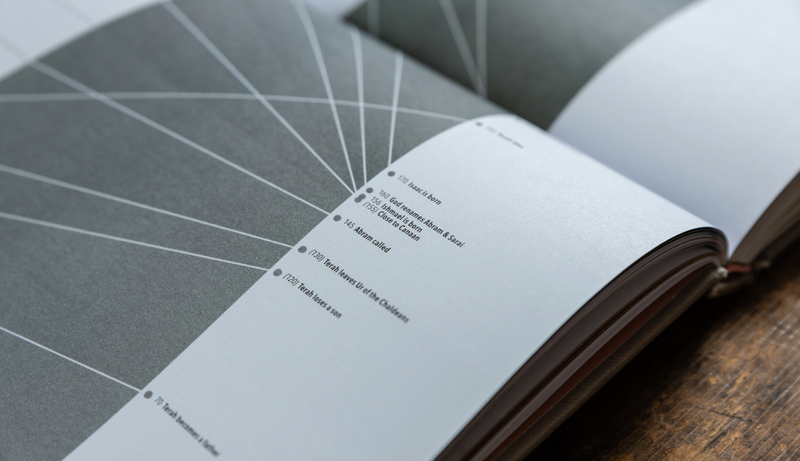 HarperCollins had already published successful Infographic books like ‘Information is Beautiful’ by David McCandless and were considered industry leaders in this genre, their next step was to produce a Bible in this format! This was an unbelievable moment for me to be invited to pitch because usually, the author pursues the publisher, not the other way round. When I heard what it was my spirit just leapt! Not only was it in this visual language which is particularly helpful for those who are visual learners like me, it was to be part of a prestigious set of infographic books by HarperCollins but most of all it was about Jesus… unbelievably above and beyond what I ever dared to dream or hope or imagine! I pitched as a co-author (design) and even then I thought… I’m way out of my depth! It was a difficult process proving hard to get off the ground, the result of which was HarperCollins asking me to consider taking on the project as a single author. 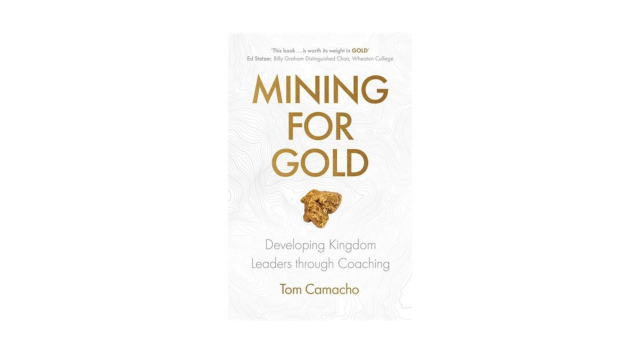 As the revelation of the task before me increased so did the team, it grew from 3 to 7 and at the final count in 2018, 57 people had been involved in making this book possible (see pp 216-217). Why did you decide to present the Bible in this way? We live in a world often described as a global village, in which we are constantly absorbing information. A global visual language is quickly becoming the currency of communication for this generation. Projects such as Noun and the use of emojis have grown exponentially for a reason – in fact, Noun’s research has shown that combining visuals with text improves communication and learning by 89 per cent*. The Bible is one of the key places we encounter God and his heart for a relationship with us, bringing nourishment and wholeness as we interact with it. 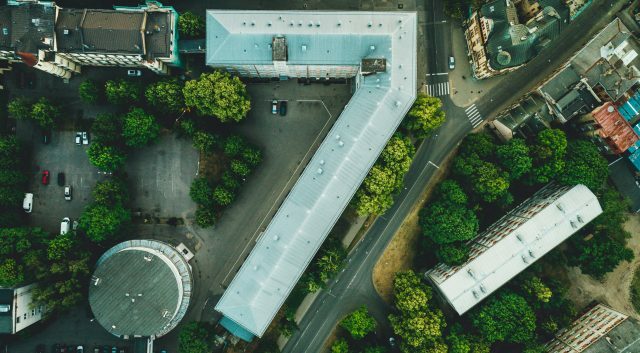 Jesus spoke in parables – creating images to help his audience understand and remember the essence of his message – and Paul chose to write in the street language of the day. 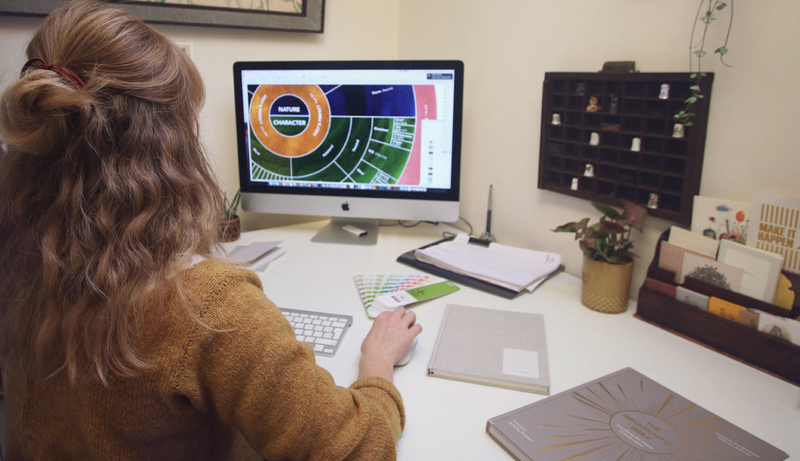 The Infographic Bible’s aim is to do both: to create a visual image and then support that graphic with text that can be understood by anyone who picks up the book. My heart is to show that God’s word can be approached, wrestled with, analysed and meditated on. The Bible is one of the key places we encounter God and his heart for a relationship with us, bringing nourishment and wholeness as we interact with it. One of the reasons I agreed to take the project on as a single author was to reveal the essence of the Gospel message in this format, but equally to gather a wide range of contributors from different theological backgrounds, people who carry a heart for, and in some instances authority on, that subject. It is key to say that each contributor’s view is uniquely linked to their data set and will often differ from other contributor’s, or in fact, my own, view. This was important because I feel different theologies are not something to be feared, but to be embraced and grappled with. A healthy maturity comes from this wrestling. It is certainly true of my own journey. For those who haven’t seen your book yet, give us a summary of what to expect. 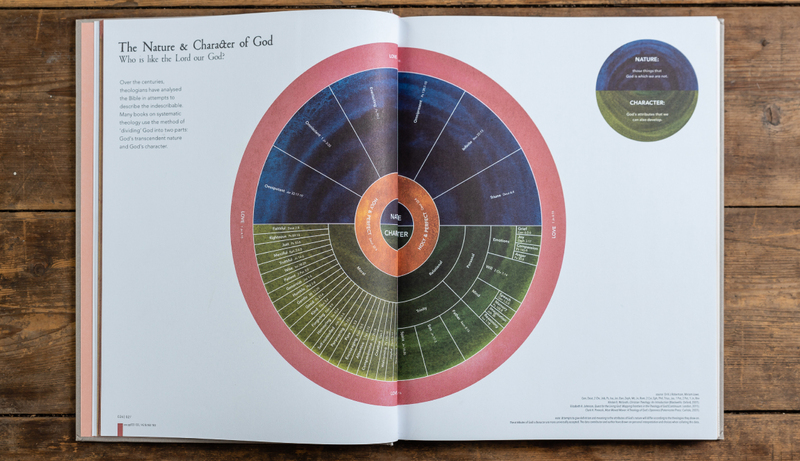 This book shows us the Bible in a unique way, visualising data from and about the Bible to reveal new beauty, meaning and connections in the key Biblical themes and narrative. Bringing the word of God to life on the page! Who is the Infographic Bible for? I believe this book is for people of all ages and backgrounds, whether you’ve never read the Bible before or have read it a million times! 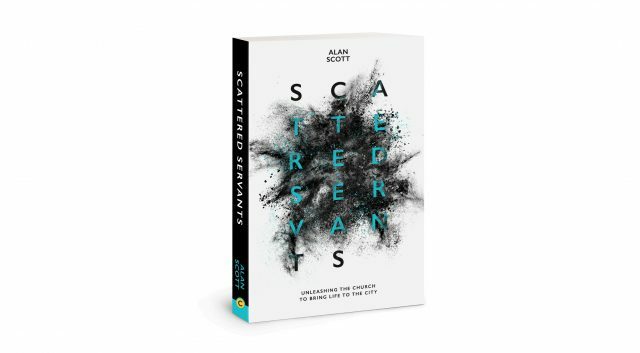 But my heart as an evangelist was to write it for this new visual generation, who may not have grown up with Bible stories, or may never have stepped a toe nail over a church threshold, but could pick this book up and understand it for revelation, transformation and healing. No matter where people are in their journey with God, my hope is that they study, analyse, interact and create with the Bible as this book points the audience back to it. It is an incredible gift extended to every single person – enjoy! 1. Gather a Supporting team. The process began with gathering a team of people who would support the project and be the scaffold to allow an infographic to be created. That team included theological advisors, legal, admin, publishing and technical support as well as some training for me. Theological advisors were key for me to form the skeleton of my contents. I knew I wanted to tell the Bibles Big picture message, the gospel, in sequential stages from Genesis to Revelation, and for those stages to form the chapters or sections of the book. 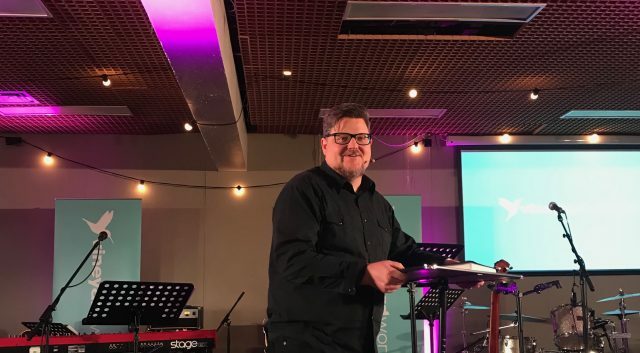 This team helped by advising which key stories and books in the Bible were needed to further explain those stages and move the Big Picture story forward. Then to this skeleton, I was able to add a few of my many ideas to form a basic page plan. One of the hardest and most time-consuming parts of this project has been creating the data from scratch, which was the case for everything you see with the exception of 2 subjects. But that also meant I had the honour of working with some incredible people and biblical scholars to produce this data, often seeking people out specifically for subjects. Once the data was commissioned to a contributor we would have an initiating meeting. At times I would approach them with an idea of what I wanted that subject to show, at other times I simply had to ask the contributor to talk about their subject. While they talked I had to think (with a bucket load of help from the Holy Spirit) how do we turn that knowledge and information into data that can be analysed and designed to reveal key elements of that subject. We would agree on a way forward then I would create a spreadsheet template for the contributor to complete unless it was one of my core contributors who is a data geek and analyst – you know who you are! The data went back and forth until both me and the contributor were happy, and that was my checking several elements of a data set before I could approve it as the author. The data was then sent to HarperCollins for final checks, copy editing and approval. The approved data was then analysed and wire framed using excel or code. Wire framing often took several attempts to create a mathematically correct visual that would fit on the page and still be legible. Then only from that place, we could begin the illustration and design, that was my only comfort zone in the project and where my time was least spent. It was my delight to art direct and refine the whole project and with the exception of 16, I was also the designer and illustrator. Again I had an incredible team, some illustrator contributors and supporters who came in for a few specific graphics, then a couple of guys who were core design, working with me throughout the whole 5 years; there was another designer and an amazing illustrator intern who volunteered one day a week. In addition to the 57 people involved in helping create the book, I needed a team to support me personally. For me to play all those roles in the project was much harder and more time consuming than I ever imagined, certainly, for the last 2.5 of those years it looked like 6 day weeks and working in my studio between 60-75 hours. Working in relationship and team is what enabled this book to be birthed. How did Jesus encourage you in this journey? I simply could not have done this journey without a very real relationship with Jesus, Father God (who I call ‘our Dad’) and the wonderful Holy Spirit. The project was released to me at a key stage in my journey of relationship with God and without the foundations I had in knowing his character and ways it would have been impossible. But with God it was possible and that relationship has deepened during these last 5 years. I’ve had so many powerful moments with him, things I knew in my head but when I see the results from the data being analysed there was a deeper and profound revelation. One of those moments was seeing the totals of Jesus declaring himself being equally Son of God and Son of Man! WOW! Jesus is so kind and along the journey he has done some work on affirming my character and ways as a creative. I love detail, meaning and purpose, which is why I love infographics, everything on the page has meaning and purpose down to the minutiae. That can often look like being a pain or sometimes be mistaken for perfectionism, but for me excellence is life giving! I had a powerful moment working on the Ark and Tabernacle, revisiting the level of detail in the design brief and spec given by God, the minutiae that had purpose, meaning and delighted God! That detailed brief given by God in Exodus took skill, patience and perseverance to execute and only with anointing, producing something of excellence for his Glory alone! That brought greater freedom, increased permission and affirming to me as a creative. He is so so good! Tell us about your church and how they’ve journeyed this with you. 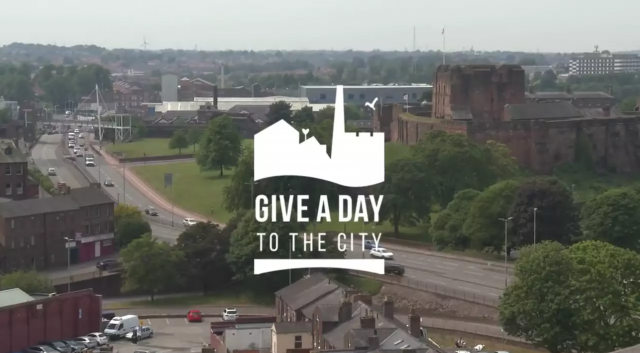 Carlisle Vineyard church has been such a huge part of this project, supporting me in various ways (see pp218). The leaders Rhoda and Andy have been amazing in supporting and championing me at all costs. Rhoda played several roles in the project to support me including data contributor and supporter (see pp 86-87 for example). What has been the hardest lesson learnt in this process? Practically: Learning to lead a team of not just creatives but biblical scholars and academics. Oh and learning Excel! I moved from refusing to work with it, to thinking ‘I guess its ok’, to ‘ach I LOVE Excel!’ Without learning that skill, to create and analyse data, nothing could be designed! Spiritually: Pushing into deeper relationship with God as I really needed him to be my everything. This journey has been a rollercoaster ride. There were many times of utter exhaustion and total isolation, the sacrifice was huge for an extrovert socialite and when everything in my soul wanted to go out and play or my body wanted to stop I had to choose to continue and the only way that was possible was to strengthen myself in the Lord! He is just absolutely amazingly good and always faithful! What would you say to creatives out there who are dreaming dreams? How can they turn their dreams into new Kingdom realities? On my dedication page I quote Luke 1:37, remember nothing is impossible. This whole book is a story of the impossible being possible. My story is too long to tell here, but I missed a lot of school, I dropped out of A-levels after one year, I chose not to go to university and so have no degree. My life was literally redeemed from destruction when I fell in love with Jesus again. 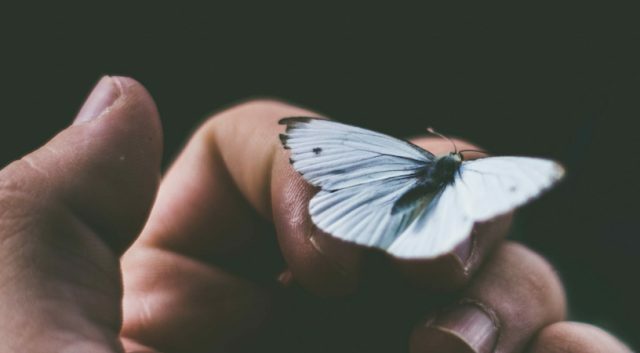 He increased my creativity to even greater levels that I could imagine, but he also used all of my story to form what you see on the pages, nothing was wasted all was redeemed and used for his Glory (see p224). When I began to co-create with our Creator God Elohim it was incredible and opened doors in the industry that looked unbelievably impossible, I know his affirming and delight as I create with him. This whole book is a story of the impossible being possible. This incredible gift of co-creating with him is extended to every single person and it’s in that place that dreams are birthed, awaked and activated into reality. My passion is to work with God to awaken, activate and affirm creatives, to rise up and open Kingdom doors. The book of Revelation proclaims the door that Jesus opens no man can shut! 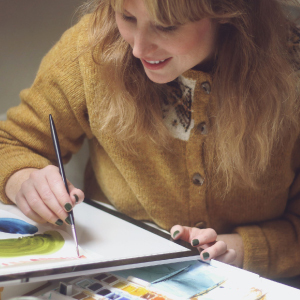 How do you use your creative journey as an act of worship? The first name God revealed himself to us in Genesis 1:1 is Elohim, God the creator! (see pp 28-29) We are created in his image and so as we create we display part of his Character which brings him Glory! I believe creativity and worship go hand in hand, activating each other! Several times during this project I have been given the Bible verse Exodus 31:1-11. There was this incredible guy Bezalel who God chose to lead a team of creatives, he was filled with Gods Spirit, wisdom, understanding, knowledge and all kinds of skills to make artistic designs which would form the place where God met with his people and worship happened. As we create with God we worship him and as we worship God creativity is released! AMAZING! It’s a wonderful and powerful cycle and relationship (see pp112-113). Catching up on some sleep I think… and then who knows, it’s one of the things I love about being freelance and get so excited working with Jesus, because who knows the doors he is going to open next! Ancient scriptures from the most popular book of all time, revolutionised to reveal its themes and narratives for a modern generation. Billions of people across the world find solace, meaning and wisdom from reading the Bible. But for some, it can be a difficult book to engage with and understand. 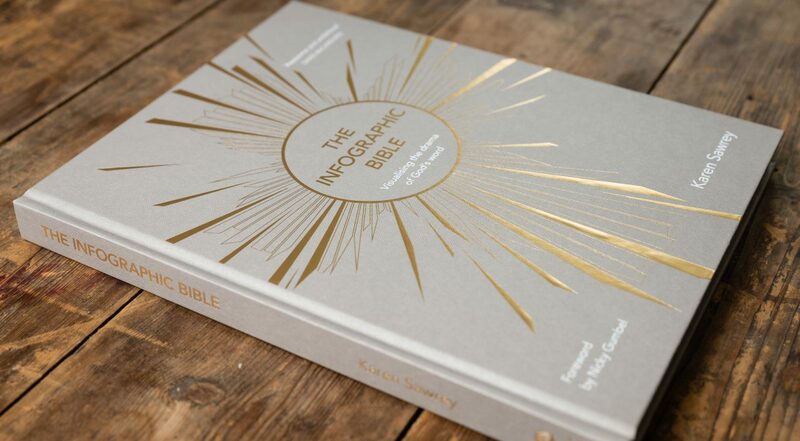 In this this pioneering book Karen Sawrey shows you the bible as you never seen it before, using powerful infographics, with data sourced by experts in their fields, to communicate the key biblical themes and narratives. 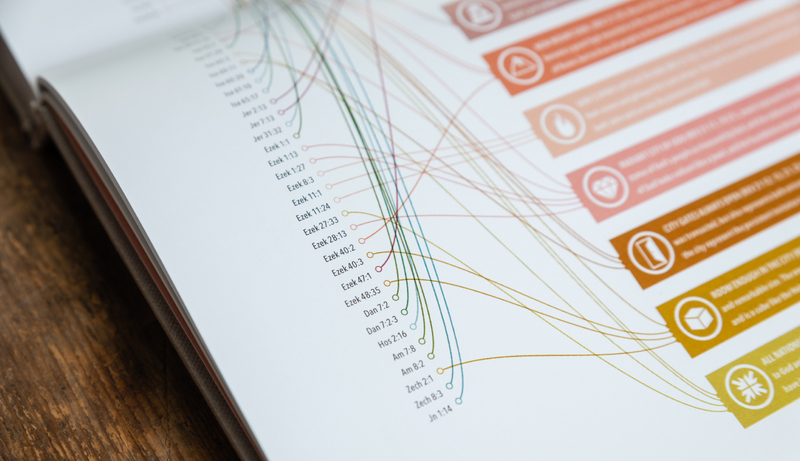 The Infographic Bible focuses on the meta narrative, the key points of the major stories and themes, to give the reader insight into the bigger story and help you understand the complex or abstract themes in a relevant way. Through revealing the ancient traditions, showing connections between Old and New Testament themes, and profiling important characters, you are left with a deeper and more memorable interpretation of the scriptures. Covering themes such as the First Family Tree, the Nature and Character of God to the Sacrificial System and Jesus I AM, this fascinating book, painstakingly gathered and presented in this unique and beautiful way will appeal to both the Christian and non-religious readers alike and provide unexpected insight into (one of) the most important book/s ever written. 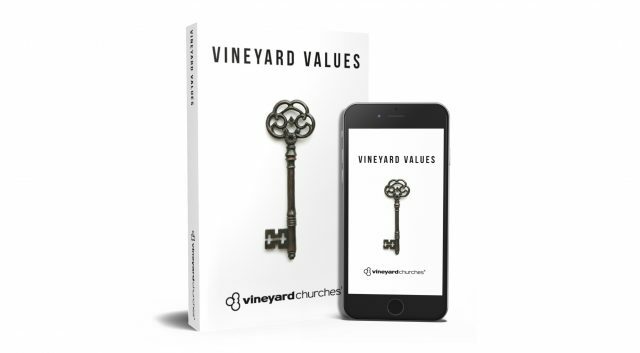 This book is available to purchase from the Vineyard Worship shop. Find out more about Karen here, visit the Infographic Bible website here, and find out more about Carlisle Vineyard here. Photos of author: Samantha Foster. Photos of book: James Vincent.